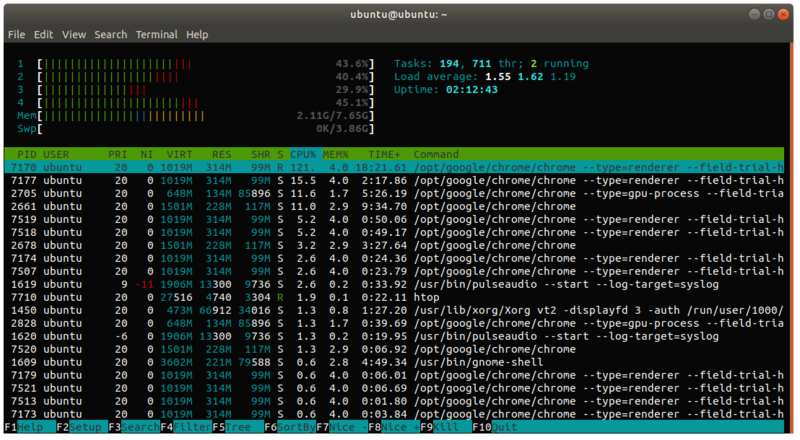 htop running. Note the boost in memory. Today I updated the R580’s memory from 4GB to 8GB with a Crucial 8GB (4GBx2) DDR3/DDR3L 1600 MT/S (PC3-12800) Unbuffered SODIMM 204-Pin Memory Kit – CT2KIT51264BF160B. Not only is there now twice as much memory as before, but the performance with the much faster memory over the original memory (Elpida (2GBx2) PC3-8500S) makes the entire system just that much more pleasant to work with. 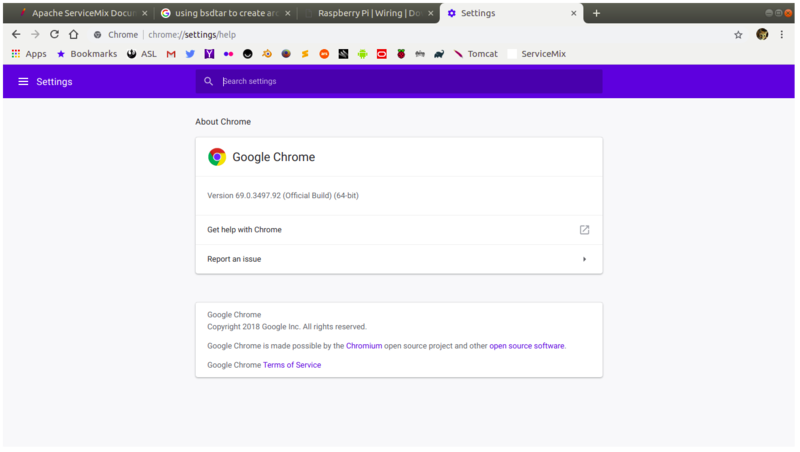 In addition I installed Microsoft’s Visual Studio Code and Google Chrome (as apposed to just Chromium). And by the way, I went into chrome://flags and disabled “Omnibox UI Hide Steady-State URL Scheme and Trivial Subdomains”. 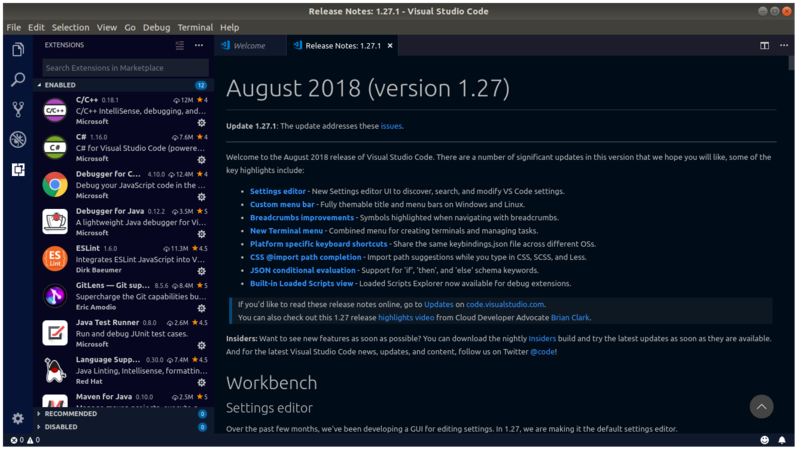 Visual Studio Code with a number of its plugins. This just goes to prove to me that computers with low-performance peripherals (memory and disk being two) when they’re first released can have them updated with far better components if those computers can be easily opened and serviced (I’m looking at you, Apple). Ever since I upgraded this system with a Samsung 1TB Evo 860 SSD, I’ve been able to at least keep up with contemporary systems using later releases of the i5 processor. Tonight, after spending another $80 for the memory kit, and getting a sizable and noticeable performance kick, I have no desire to replace it any time soon. The R580 is running with the current version of Ubuntu, 18.04.01, and everything works just fine. The only other item I’ve had to replace on the R580 is the keyboard, and that was four years ago after upgrading the system from Windows to Ubuntu. I just might get one more new computer before I hit official retirement. If I do it will be a computer powered in part by Linux. Not Windows and not macOS. Linux. And I’m going to make sure that the components are the best I can possibly afford that will be as performant as possible. Probably a system from System 76. Samsung especially doesn’t make computers as good as this old R580 any more.